Comfort Measures: Amazing Skills for Labor - Have an amazing birth! Learning to enjoy and cope with labor, along with your partner, is a journey of love. The time you spend together learning, communicating, talking and touching is preparation you will be so grateful you spent time on when the birth itself happens. Our Comfort Measures birth class specifically focuses on these hands-on and emotional techniques to make your birth better and help you learn to relax. It’s information that is fun to learn, yet oh-so-useful. You will love the time you spend working on the techniques and practicing relaxation with your partner. This class is great as a stand-alone session for the experienced birthing couple, but also an incredible add-on to our out-of-hospital and hospital birth classes. It will give you extra tools, extra tricks, and extra time to focus together. The Comfort Measures workshop comes with TWO beautiful booklets for you to take home and use for practice with your partner. They are incredible individually, and a powerhouse together. First, you get a Relaxation and Visualization book, full of brand new relaxation scripts for you to practice. It also contains some beautiful art and some coloring pages for you to do yourself. The other book that comes with your Comfort Measure Workshop is the Comfort Measures Workbook. This has positions, labor comfort techniques for your partner, and tips for emotional preparation. The online baby class option gives you and your partner the flexibility of watching on your own schedule and the ability to pause and discuss as questions arise. It’s perfect for the modern, busy couple. You can purchase the online comfort measures class here. Our childbirth educators are incredible and you can find them all over the country. They love talking babies as much (maybe more!) than they love talking birth and they are loving, amazing women. You’ll love learning directly from them and gain the camaraderie of others in your class. You can find your instructors here. The comfort measures class is truly one of our favorite things and we are sure that you will love it! 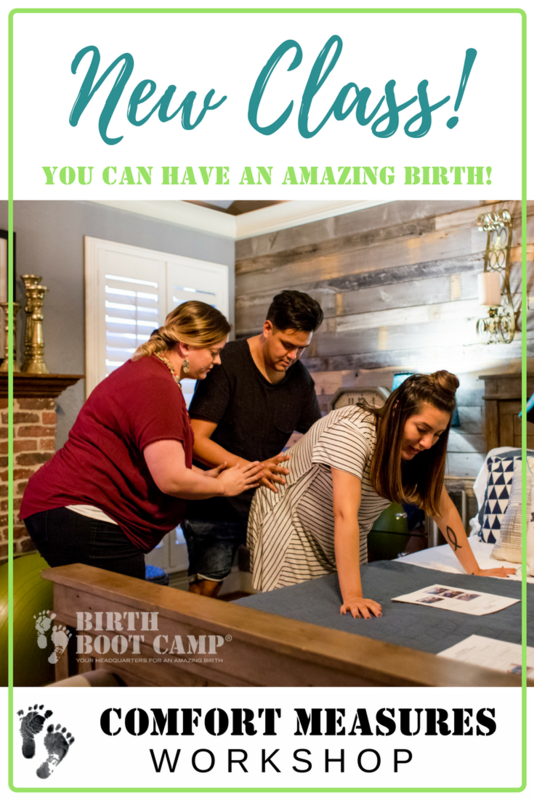 You can prepare TOGETHER for an amazing birth!